On our honeymoon we will stay in the One King Bed Room with a Patio. Located on the first floor by the pool, this guest room includes a chair and ottoman, a work station and other special touches. We will indulge in the king size bed, a bathroom with vanities and granite countertops, lavish amenities, and sliding glass doors that lead out to a furnished, private patio. Our honeymoon in this enchanted kingdom promises us an unforgettable stay in the One King Pure Allergy Friendly Room. With improved air quality, this PURE allergy room features specially treated surfaces, including a special mattress and pillow covers to reduce allergens. This charming, comfortable room boasts a king size bed with luscious linens, a rejuvenating bathroom with lavish amenities and other special touches. 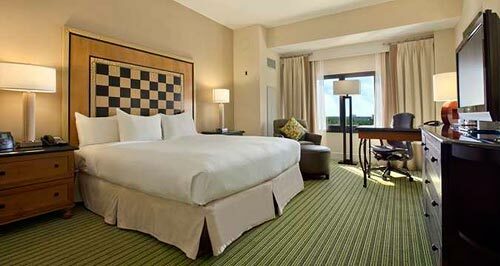 Within the comfort and convenience of our room or suite, we will enjoy in-room dining for a fine dining experience. 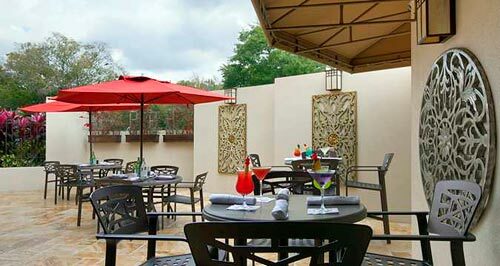 Ideal for park-hopping or private, intimate dining, we will enjoy breakfast in bed, take delight in a sumptuous lunch or snack or savor the flavors of the mouthwatering entrees for dinner. We will jump start our morning with a fresh cup of Joe or a quick breakfast by visiting Mainstreet Market, open 24-hours, where they proudly brew Starbucks Coffee. 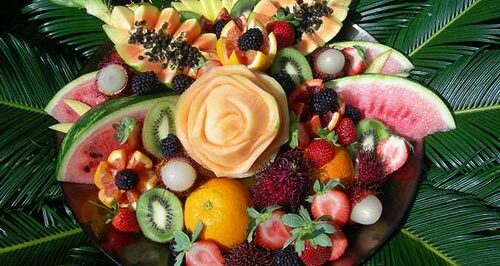 Here, we can pick up some treats to snack on throughout the day. 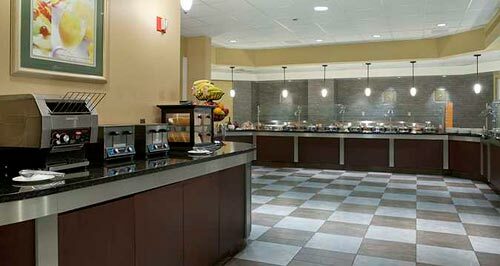 Offering a variety of options for breakfast, lunch, dinner and snacks, from fresh fruit, pastries and salads, to sandwiches, pizza, candy and ice cream novelties, there is something for everyone! Andiamo Italian Bistro & Grille is a bistro and wine bar offering an authentic and unique dining experience. 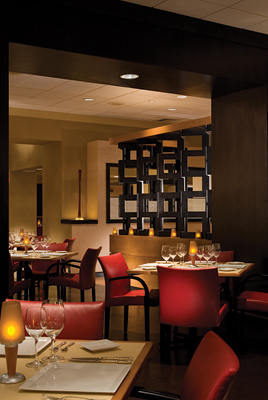 Its contemporary design, back-lit art and bold red hues create the perfect backdrop for a romantic evening for two. We will choose from freshly prepared house specialties including hot and cold antipasti, homemade ravioli, delicious pasta selections, sizzling steak platters or broiled fish dishes complimented by award-winning service, an extensive wine list, specialty coffees and decadent desserts. 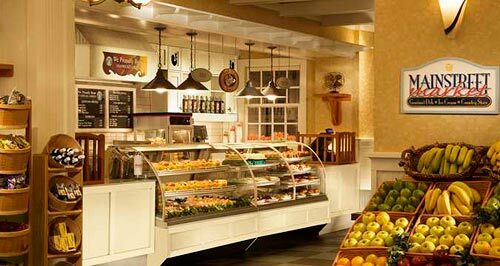 On our enchanting honeymoon, we will start our day off right with Covington Mill’s a la carte menu or breakfast buffet that boasts an endless assortment of hot and cold items, seasonal fruit, freshly baked pastries, made-to-order omelets, and Mickey Mouse waffles and heart healthy options. Ideal for a quick power-lunch or a relaxing midday meal, Covington Mill offers a variety of soup, salads, sandwiches and signature dishes. Whether dining indoors or enjoying the Florida sunshine on the terrace, we will experience personalized service in a relaxed atmosphere. 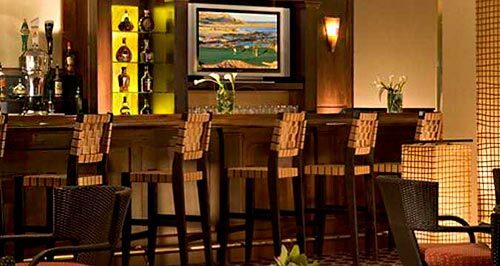 After an adventure at the theme parks, we will unwind with good conversation at John Ts Lounge. We will enjoy an ice-cold beverage while cheering on our favorite sports team or catch up on the day’s top new stories on high-definition TVs. We will choose from a wide selection of draft and bottled beers, or we will try a local or organic microbrews, a glass of wine or a seasonal drink while indulging an array of appetizers, salads, sandwiches and entrees. 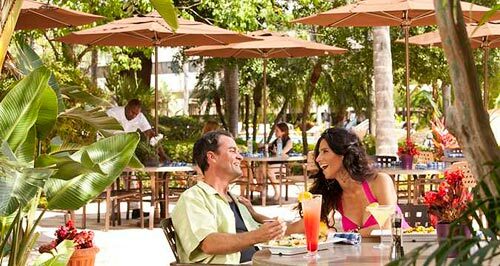 At Hilton Orlando Lake Buena Vista, we will soak up the sun under clear blue skies and experience paradise at Rum Largo Poolside Bar & Café. We will sip on tropical seasonal cocktails at this service bar or from the comfort of our poolside lounger while grooving to the rhythm of Key West-style music. This open-air café offers a variety of delicious salads, starters and sandwiches, perfect for our honeymoon! On Sundays at Covington Mill, we will indulge in the Disney Character Breakfast. This will be a great opportunity to get autographs and take pictures with our favorite Disney friends. Complete with a made-to-order omelet station, Mickey Mouse waffles, fresh fruit and more, we will create unforgettable memories on our honeymoon. 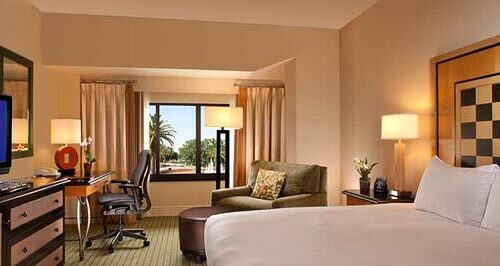 We will stay at the Hilton Orlando Lake Buena Vista on our honeymoon! Our honeymoon hotel is just minutes from Orlando’s most popular theme parks, such as Magic Kingdom® Park, Disney’s Animal Kingdom®, Epcot®, Disney’s Hollywood Studios®, and Disney’s water parks. We will indulge in exquisite shopping, exceptional accommodations, complimentary transportation to and from Disney theme parks and extra magic with Disney’s Extended Theme Park Hours. With your generous contribution, our honeymoon will be everything we’ve dreamt of and more! A chilled bottle of Italian champagne will be delivered to our suite. We will make a toast to our romantic honeymoon in Orlando while taking in the sweeping views of the twinkling lights of downtown or the breathtaking fireworks. How romantic! A bottle of our favorite wine will be delivered to our room or suite. 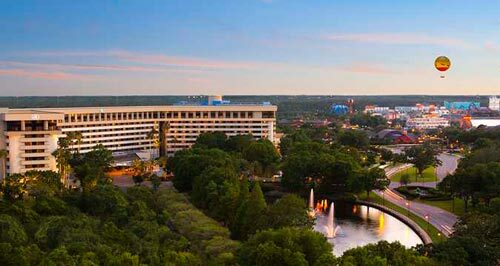 We will make a toast to our honeymoon at Hilton Orlando Lake Buena Vista while taking in the enchanted views of the surrounding magical kingdom. We will discover romance at its best!